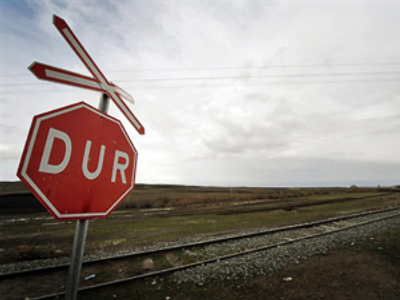 Turkey and Armenia have agreed to establish diplomatic relations in order to reopen border crossings that have been closed since 1993. According to both countries’ foreign ministries, they will begin political consultations on two protocols: on the establishment of diplomatic relations and on the development of bilateral relations. "Political consultations will be completed within six weeks and, following that, two protocols will be signed and submitted to the two countries' parliaments for approval," the Turkish Foreign ministry said in a statement issued on Monday. The news has also been confirmed by Swiss government officials who have helped mediate the long-standing conflict. However, the sides have yet to overcome a number of disagreements. According to Prime-TASS, Yerevan insists that Ankara should open its border without preconditions. Also, it criticized Turkey for supporting Azerbaijan on the Nagorno-Karabakh issue. Turkey, for its part, insists that Armenia should stop accusing it of genocide. In fact, relations between Turkey and Armenia have been tense for almost a century. It all began after the mass killing of 1.5 million Armenians by the Ottoman Empire during and just after World War I. Yerevan believes the killings to have been genocide against the Armenian people. Twenty-one countries, including Russia, France, Italy, Canada, and most US states, have adopted resolutions acknowledging the Armenian genocide as a historical event. The Turkish government, however, has continuously denied it took place, claiming the number of victims was exaggerated. After the collapse of the USSR in 1991, Turkey recognized Armenia as an independent state. However, Ankara and Yerevan have had no diplomatic relations since 1993 when Turkey closed its border with Armenia in a show of support for Azerbaijan following the conflict over Nagorny Karabakh. In 1988, the Nagorny Karabakh region voted to join with the Armenian Soviet Republic, which set off a conflict between Armenians and Azerbaijanis. By 1994, when a ceasefire was finally reached, over 30 thousand had been killed and hundreds of thousands displaced as a result of the war. Now the South Caucasian region is technically part of Azerbaijan but has its own government and is, de facto, independent. In April this year, under Swiss mediation, Turkey and Armenia agreed to a "roadmap" to normalize their relations. But the first step towards normalizing relations between the two states was taken in autumn last year when a Turkish leader, Abdullah Gul, visited Yerevan for the first time to attend a 2010 World Cup Armenia-Turkey qualifier after receiving an invitation from his counterpart, Serzh Sargsyan. Gul, for his part, invited the Armenian leader to Turkey to watch a qualification game between the teams of the two countries in October. “The Turkish president’s visit to Armenia was a diplomatic step forward,” said Turkish journalist Resat Enver. He said it was Ankara’s way to show its intention to solve the problem, since the western community had criticized Turkey for avoiding it. "Historic memory shouldn't hamper progress"
Armenian and member of the Russian Academy of Science Sergey Arutyunov says that Armenian society is split over the problem of genocide. Primarily those people who have commercial interests understand quite clearly that the geographical position of Armenia, which has been practically in blockade, wants the opening of the border with Turkey as soon as possible to then open the door to Europe. Arutyunov believes that establishment of normal diplomatic relations between Armenia and Turkey and the opening of borders is absolutely indispensable from the point of view of Armenian national interests. He says the recognition of genocide should not be the pivotal point of Armenia’s foreign policy, which must be pragmatic. “The 100th anniversary of the 1915 genocide is approaching. Of course there will be much talk and commemoration. 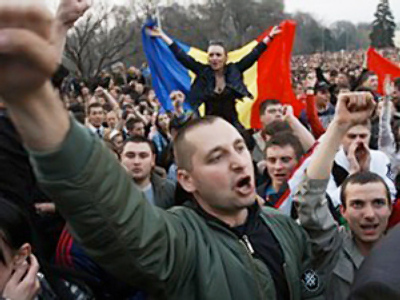 Certain political demonstrative measures connected with this anniversary are unavoidable. But the historic memory should not impede the pragmatic political and economic progress,” Arutyunov said. "America has no objective in Afghanistan"